A.C. ProMedia, distributor of state-of-the-art products and technologies aimed at the install & Architainment markets, is honored to be selected as the exclusive North American Distributor for DSPECIALISTS’ HARVEY® product line. HARVEY® is a family of flexible audio and media control matrices and a key component for PA and conference systems. The HARVEY® family is equipped with up to 32 analog audio input or output channels as well as a large number of different control interfaces. The unit has extensive audio processing functions that can be configured in a way that is tailored precisely to the respective application. 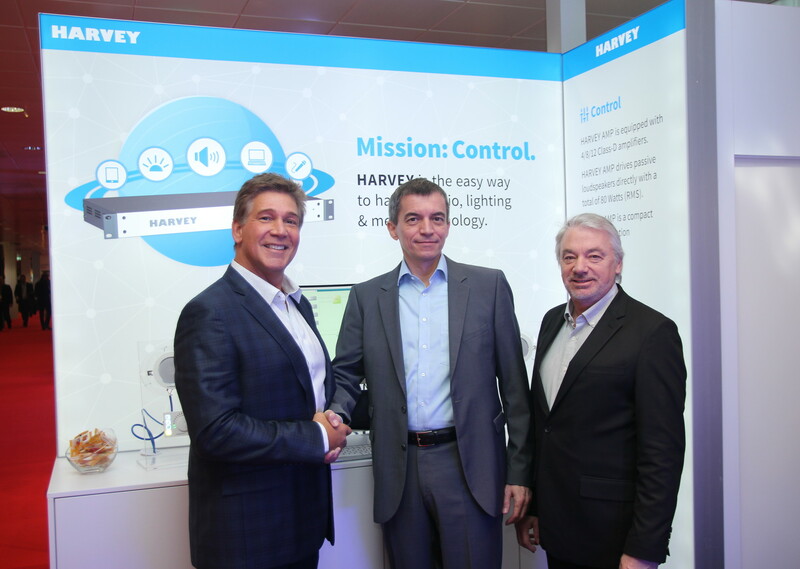 HARVEY® can connect to very different devices and act as the central control unit for audio, lighting, and media technology. It converts the data between the interfaces and eliminates the need for additional converters. All established media control systems from Crestron, AMX, and Cue are suitable for controlling HARVEY® and all other devices connected to it. Additionally, HARVEY® features the ability to be controlled by modern web browsers. Developed and Manufactured in Germany, HARVEY® is engineered to be the most flexible Audio and Multi-Media Control Matrix on the market. It comes equipped with analog audio inputs and outputs as well as a selection of application-specific control interfaces available in different configurations. It is ideal in conference rooms, home cinemas, museums, educational facilities, multipurpose rooms and theatres. A.C. ProMedia is A.C. North America’s newest Division offering multimedia products and solutions (Audio-Video-Lighting-Control-Networking) aimed at the install & Architainment markets: fixed infrastructure, new designs and event venues including: Architecture, Corporate Media, Consultant Groups, Municipalities, Hospitality, Theme Parks, Sport Venues, Public Space, Retail Space, Cruise Ships, and more. A.C. ProMedia is building on the same strengths, resources and business principles as their sister division A.C. Lighting Inc. by offering state-of-the-art products and technologies and working closely with its business partners: suppliers, consultants, architects, designers, multimedia contractors and dealers.